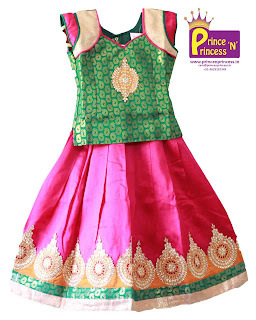 In this blog we are posting some of the most demanded south Indian girls traditional wear. 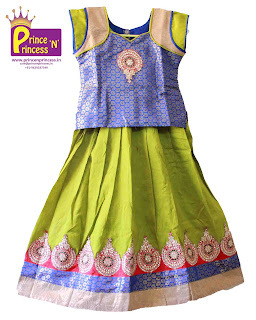 These designer pattu pavdai are available in Prince N princess ( www.princenprincess.in ). These pattu Pavadai got very positive feedback from all the purchased customers and most sold from our website. These girls pavadai gives grand look and can be used for party, functions and festivals. 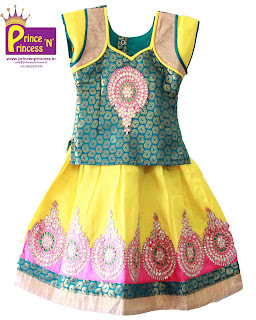 www.princenprincess.in is online store with the variety of dress collection for kids. We hand pick dresses from the best quality dress makers. 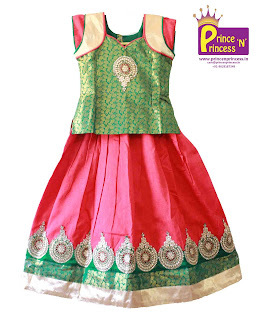 At Prince N Princess, we are trying to focus on getting best traditional and ethic dress for your prince and princess at affordable price. Is the pavadai shown are stitched or unstitched..how many days will it take to ship? Its free shipping within India. All the dresses available are stitched. You can place orders easily as you do in online shopping.